I feel bad for Ryan Huska. Entering the third and final season of his three-year contract as head coach of the Stockton Heat, he badly wants to make the playoffs. After all, it's been instilled throughout the organization that winning is an expectation and in not making the playoffs his first two years at the helm, things are not looking good. The challenge this year is with an overhauled roster, will the new-look team be good enough. Is there plenty of long-term potential? Absolutely. But will that translate to the success in the short-term? That's the million dollar question. It's not unusual to have significant roster changes on a minor league team from year to year, but this off-season has been one of extreme change Calgary's American Hockey League affiliate. Gone are four of the team's top five scorers last year in Kenny Agostino (St. Louis), Derek Grant (Buffalo), Drew Shore (UFA) and Turner Elson (Colorado). Add in the likes of Bill Arnold (UFA), Bryce Van Brabant (UFA) and Mason Raymond (Anaheim), who have also departed and 62 percent of the team's goal production from a year ago will not be back in Stockton this season. That is some significant change. One of the reasons so many veterans were moved out this summer is because of the influx of first-year players expected to move in. 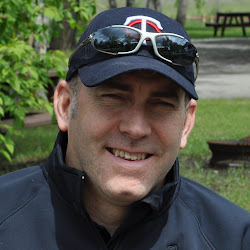 As many as five players in the organization will make the jump from major junior -- LW Brett Pollock (Edmonton), LW/RW Andrew Mangiapane (Barrie), D Rasmus Andersson (Barrie), D Keegan Kanzig (Calgary) and G Mason McDonald (Charlottetown). Three others that will be considered AHL rookies are C Mark Jankowski, G Jon Gillies, who only played seven games last year before season-ending hip surgery, and Czech G David Rittich. 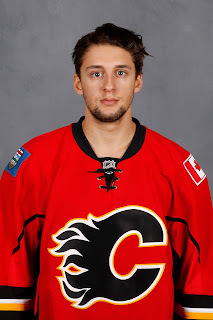 If Czech RW Daniel Pribyl doesn't make the Flames, that's another first-year Heat player, although he is not technically considered an AHL rookie due to having played more than 100 games in the top Czech league. The jump to the pro game can be a difficult transition. Just ask Morgan Klimchuk. After finishing his CHL career with three-straight 30-goal seasons, Klimchuk lit the red lamp just three times in 55 games in his first year as an AHLer. Two other major junior grads experienced similar production frustration last season. Austin Carroll managed just six goals in 53 games after sniping 38 with Victoria the year prior. After notching 23 with Oshawa (plus another nine in the playoffs), Hunter Smith was limited to two goals in 54 games. That said, having a large number of rookies isn't necessarily a death sentence. It can be -- Iowa was one of the teams with the most rookies last year (seven played in 40-or-more games) and they finished last overall. Just two points better was Manitoba, who also had seven rookies by that criteria. But on the flip side, Calder Cup champions Lake Erie also had seven rookies and so did Eastern Conference finalist Toronto. There is no denying the contributions received from Lake Erie's young players on the way to winning the Calder Cup. Blue Jackets prospects D Zach Werenski (18), LW Sonny Milano (19) RW Oliver Bjorkstrand (20) and D Dillon Heatherington (20) were all age 20-or-under when their six-week playoff run began. But three 30-somethings also played key roles in team captain C Ryan Craig, D Jamie Sifers and D Steve Eminger. Talk about experience, those three have combined for over 1,100 AHL games and another 700-plus in the NHL. That's the void that more than anything is missing for Stockton at the moment. As a development league, AHL rules mandate that every game at least 13 of the 18 skaters dressed must be considered "development players" by the league's criteria, which is having played 260 or fewer professional games in the NHL, AHL or European Elite leagues. Well the Flames are in no jeopardy having any issue meeting those requirements. In fact, every player at this point that could potentially be on the Heat roster meets the "development player" guidelines. The oldest potential Stockton player at the moment is Linden Vey, who turns 25 on Sunday. Having spent most of the last two-and-a-half seasons in the NHL though, there's a good chance he ends up in Calgary. 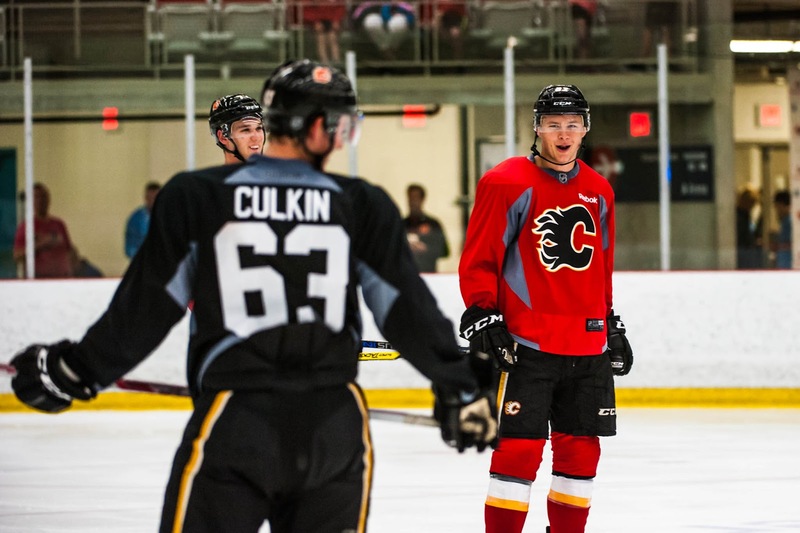 The next three -- all 24 -- are comprised of Garnet Hathaway, Freddie Hamilton and Kenney Morrison, and there's a decent possibility two of them could also end up with the Flames. In terms of AHL games played, Hamilton has the most experience with 259 games. The only other four with more than 100 games are Vey (217), Hunter Shinkaruk (136), Hathaway (124) and Emile Poirier (117). Expect this to be an area addressed in the near future as in talking to Flames assistant GM Brad Pascall on Friday, who oversees Stockton's operations, he acknowledged that they are looking to add some veterans on AHL deals and AHL-ECHL deals. 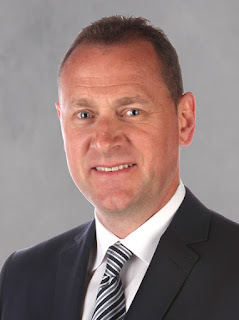 Additionally, if general manager Brad Treliving brings in another defenceman as he has said he's looking to do, that could very well be a veteran on a two-way contract that may end up in Stockton. Wouldn't surprise me if there's another depth signing up front too, someone on a two-way. Perhaps this might be someone on a PTO at training camp that ends up signing a two-way deal. The importance of having veteran players was demonstrated last year. Take Oliver Kylington for example. When the 18-year-old was homesick, 32-year-old captain Aaron Johnson was the guy that would talk with him and travel with him. For accommodations, he lived with 29-year-old veteran forward Blair Riley. 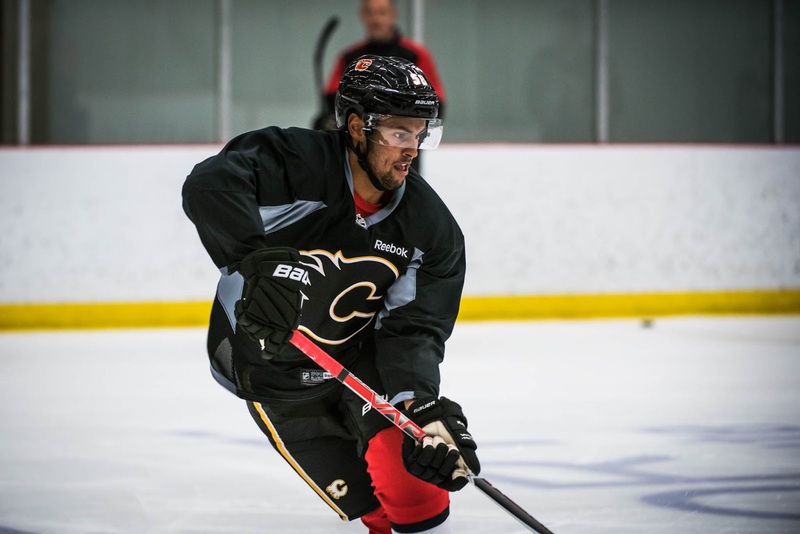 On the ice, 26-year-old journeyman defenceman Dustin Stevenson was a great influence. But now, all three of them are gone. Also around the team to help the rookies transition last year and also not back were guys like 33-year-old Colton Orr and Raymond. While it was his first year in North America, 27-year-old consummate pro Jakub Nakladal was also one of those steadying influences. Not listed but definite Stockton possibilities if they don't make Calgary's opening night roster are Vey and Hathaway. Pribyl is recovering from major knee surgery and whether or not he'll be ready for training camp is unknown. 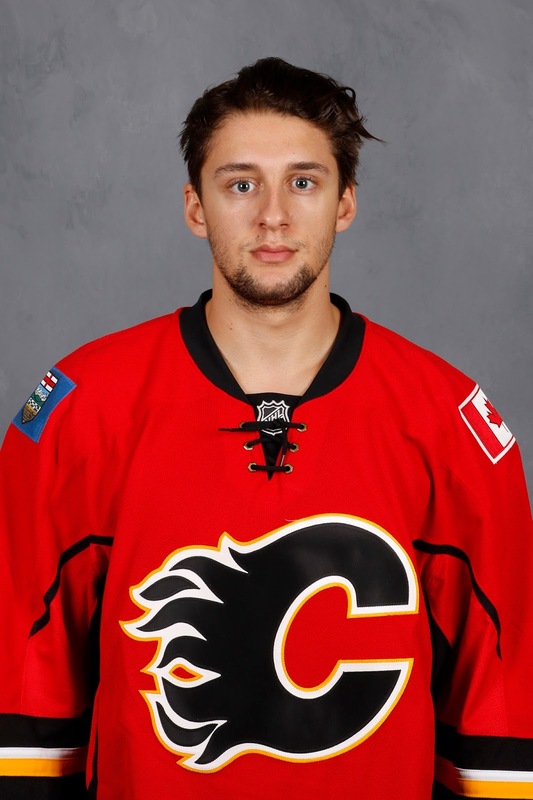 Coming off an excellent season in the top Czech league, he should find himself to Calgary sooner than later but he could begin the year in the AHL. Pribyl has mostly played centre but upon signing him, Treliving said they plan to use him on right wing. 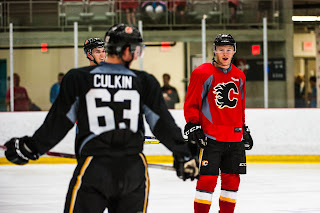 While often listed as a centre, Pollock told me at development camp he's mainly played left wing. Mangiapane has played some centre but has played mainly on the wing, split evenly between the left and right side. However, I've penciled him in at centre on this ghost roster given there really aren't many centre options at the moment. This is where a Vey demotion would be very handy for Huska. Scrappy sparkplug Ryan Lomberg, 21, is on an AHL-only deal again for this season. He is the only holdover from last year's minor league-only deals. Played mainly in the ECHL last year. There is clearly some room for a few more forwards. Absent is Tyler Wotherspoon. As someone that looked great in his NHL appearances last year and is now waiver eligible, I expect him to start the year with Calgary. After a rough stretch of injuries, hard-luck Ryan Culkin will look to get back to the calibre of play he was at a year-and-a-half ago, which was getting top pairing minutes before suffering a season-ending wrist injury. While at least one or two more bodies are expected, it looks at this point like a lefty will need to play on the right side. Kylington strikes me as somebody that could handle that. Depending on additions, Kanzig is a possibility to go to the ECHL if there ends up being too many bodies but time will tell. He began last year in Stockton but was returned to junior after continually being a healthy scratch. Expect Morrison to have a bigger role this season after being the extra D for much of the first half last season. Stability in the crease would be welcomed after last season in which seven different goalies saw game action. Add in a few others that dressed as emergency back-ups along the way and Huska joked at development camp that he couldn't even name all the guys that put on the pads for him last year. The likely destination for McDonald is the ECHL as Adirondack's starter although he and Rittich could end up flip-flopping at times to get the Czech some playing time as being stuck behind Gillies may not result in many starts. The Flames playoff record -- missing the playoffs in six of the last seven NHL seasons, isn't that much worse than the playoff record over that same period for Calgary's primary minor league affiliate. 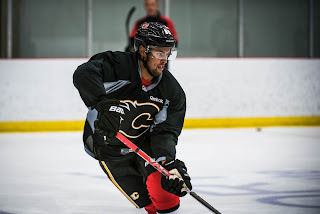 Big game experience is useful to accrue at any level and with Calgary looking to get back to being a playoff contender, it would be terrific for player development if some Flames of the future could start accumulating some big game experience in the minors. A long playoff run would be terrific experience for all and a welcomed change for Huska and his staff. Long summers in California are nice and all but make no mistake, they'd rather spend May travelling to hockey arenas. What to be on alert for in the upcoming weeks is who Treliving and Pascall are able to sign and bring in to help bring that necessary veteran presence to this very youthful Heat roster. I do expect Stockton to get far greater contributions from its rookie class this year, especially if Jankowski's six points in eight games at the end of last year is any indication. Mangiapane and Andersson are both enormous talents and it will be interesting to see how their offensive games transition. Most importantly though is somebody has to wear the 'C' vacated by Johnson, who signed with Adler Mannheim in Germany. Huska says the departure of the longtime pro is a huge loss and other than maybe Hamilton, I'm not certain the incumbent is even on the roster yet. For Huska's sake, you sure hope they find him a good replacement. 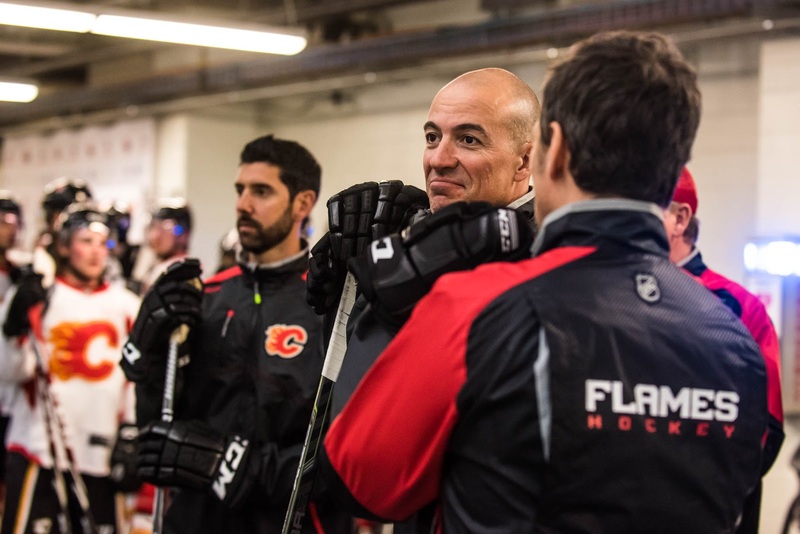 It's hard to imagine where the Flames would be without Mark Giordano and the same thing applies here. I think they should have kept Troy Ward. Just my opinion. Given the carousel of jobs he's been in and out of recently, that doesn't reflect great on him and his phone will stop ringing pretty soon. He had his own style, that's for sure. I'm surprised they didn't sign Derek Grant... was starting to be a big producer at the AHL level, good on draws and bigger body. Before his hand injury, I thought he might draw in for the big club and see some confidence from him... instead of the "hot potato AHL player" playing in the show. Any reason why they couldn't resign him? Not in the plans? Was it the $$? Thanks! He was a UFA and got to choose the best situation and can't blame him for comparing how Calgary looks at centre with how Buffalo looks and deciding the Sabres was a better option for him in hopes of playing in the NHL this season. So I think it's that simple. Also with Grant is he has 0 goals and 3 assists in 40 career NHL games. There have been many great AHL players over the years that couldn't repeat their success in the NHL. Perhaps that worked against him also.